First and foremost, I want to thank my wonderful friends of Ravelry for making my newest pattern such a success. For my second knit pattern, I felt like a novelist does about a second book … PRESSURE! As a young woman still trying to find her way, I was so thrilled with the spread of Staggered Cowl; I couldn’t ever imagine matching that. Even worse, I feared I would be … a one-hit-wonder. It was the concept of Staggered Cowl that brought Blacker Yarns into my world. It was fate that Sonja of Blacker Yarns, based in the UK, actually grew up in the town which I currently reside. Sonja contacted me about possibly collaborating and we instantly clicked. Blacker Yarns is a brand of The Natural Fibre Company, a wool mill specializing in adding value to fleece supplied by local farmers and turning it into high-quality knitting yarn. They believe in a sustainable system that supports the unique breeds, UK farmers, and the bright future of all yarn crafts. The first thing that really struck me is when Sonja told me – they know all the sheep from which their wool comes. I ask you – how is that not awesome?! Blacker Yarns sent me a gorgeous glimpse of samples and I was in love. I’ve always been enamored of heathered neutrals, strong pops of color, and real wool from my familial roots of the British Isles. Blacker Yarns instantly proved to be a company able to provide all of these qualities and they could not be more pleasant to work with. Feeling the pressure of from my first pattern and wanting to release something special before Christmas, I was waiting for inspiration to strike. One day, while accessorizing for a family event, I was trying desperately to mix a favored printed scarf and a cowl I had knit. I just couldn’t make it work, so I went with my hand knit item (of course). While socializing, I started noticing the multitude of printed scarves and realized just how unique they can be. My personal stash has been accumulated from lands afar and years a plenty. My struggles from earlier that day were still with me while this light bulb flashed and suddenly, I had my new pattern. Sonja saw this come through the channels with the hastened sketch to the left. This was also when I learned that it is very difficult to draw a braid. Even worse … a braid IN a braid – totally blew my mind. I went fractal. I had to let it go, LET IT GO – this is where my niece tells me “No, no-no-no-no-no, no. No singing.” Who can say that anymore without singing?! Anyway – after I sent this drawing, I believe Sonja was frightful of the relationship she had just instigated … luckily she didn’t hear the singing. My first step, and those who know me will attest, I needed to pick colors. True to form, I wanted a solid base of neutrals accompanied by pops of color. The original structure was for a grey set and a brown set, because we all learned from our mothers – one must never mix black with brown. Blacker Elegance was the perfect line for the neutral foundation. The color pops would filter in as your daily outfit dictated, but what to choose for sampling? For my signature, bright selection, Blacker Swan Over-Dyed Falkland Merino shined brightly as this line has a wide range of saturated hues from which it was difficult to make a selection! Also, this yarn is scrumptiously soft. It was a blast knitting, frogging, mathemitizing, button-holing, finalizing, playing, photographing, AND THEN writing this pattern. Those who worked with the Staggered Cowl chart have witnessed a true merge of my graphic skills, pattern oriented thought process, and color love. I am happy to report that you will not be let down with this new set of stitch patterns. I worked hard with the DeConstructed Cowl pattern to achieve a strong written and chart pattern. The charts were especially fun to play with and YES, you will discover some new symbols. I cannot thank Blacker Yarns enough for sharing their incredible yarns with me. Blacker Elegance truly hit the spot for the perfect natural, heathered neutrals I find myself always craving. The blend of alpaca and wool is truly gorgeous and I can promise I will be knitting a cardigan with Nutmeg in the [very] near future! Also, I re-discovered my love for blue in Blacker Swan Falkland Merino‘s Summer Sea. I thought the Whitegrass was singing true to my more recent cravings, but the Summer Sea is simply electric. I hope you all enjoy DeConstructed Cowl as the fun and functional shape-shifter of the knitting world and as a fun journey into an array of stitch patterns. 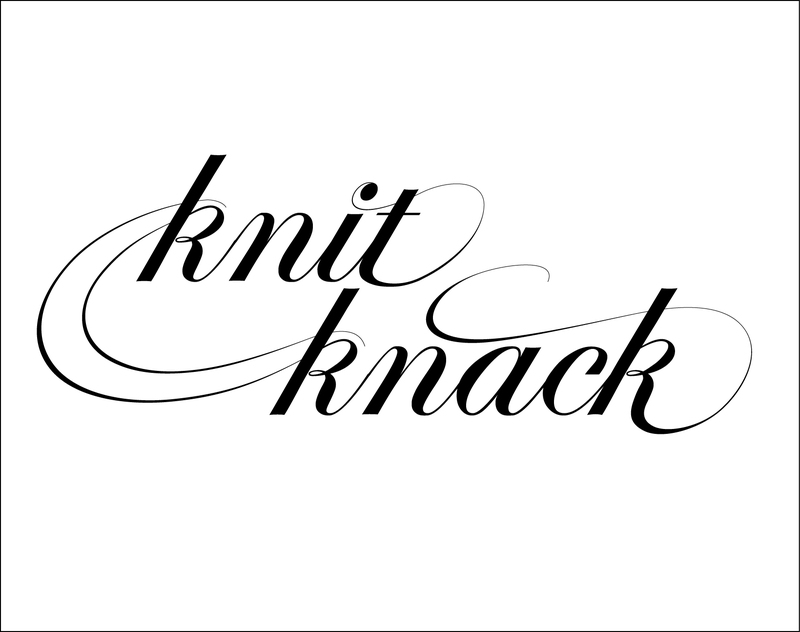 I also hope you take the time to introduce yourself to this great yarn company. I guarantee you will not be disappointed! Please also be aware, DeConstructed cowl is officially Cat Approved (you cannot stage this). A huge & heartfelt THANK YOU to Sonja and Blacker Yarns for this great opportunity, I can’t wait to work with you more in the future. Hint, hint something light & fresh for Spring. My friend and gifted crocheter, Beth Strauss, and I will be collaborating on DeConstructed :: CROCHET. Watch for this pattern [hopefully] by January’s end. Even sooner! Blacker Yarns and I will be hosting a Blacker GiveAway :: The GiveAway of DeConstruction on Instagram in early January. If you loved the very colors I used and MUST have them, start following amandaadavidson (mind the second “a” in the middle!). And lastly – where will she find the time?! – a very near & dear friend and I will be launching a very social, very delicious, very wooly Podcast in [what?] JANUARY. Watch out for SSK (Sip, Sip, Knit) where we talk yarn, life, patterns, OKCupid-Catastrophes, and best BLOODY MARYs of Chicago. No, really, someone please tell me where to find the time. I’m so excited for January that I might not sleep in December. Final note: to those of you who have downloaded DeConstructed Cowl, there will be an update catching a few typos and a minor correction to the Chevron chart by the end of the week. If anyone else has caught anything, please let me know! It’s been a rough week for me here in Chiberia (Chicago’s Polar Vortex). I came down with the flu Monday – out of no where – and it’s thrown off the week. Hence, I’m going keep it simple and talk about process. One of the joys of doing it yourself is altering, adding to, or subtracting from existing patterns. DIY patterns should also be seen as ideas to build upon. Today, I share a process told through the story of Purl Soho’s Big Herringbone Cowl. I made the infinity cowl once as a gift. My first amendment to the pattern was simple – and a common adjustment – I used a different yarn. Having worked in now three yarn stores, I can safely say that this is the most common help I give – substituting yarns! It’s really very fun. For this cowl, I used Swans Island Worsted instead of the recommended Blue Alpaca’s Worsted Sky Hand Dyes. Because the gauge of the new yarn was different, all I had to do was drop a needle size. Note: I don’t usually start this process by making an entire test piece – this was just for a quick gift. What was really stunning in this cowl was the natural, subtle color striping from the hand dyed quality of the yarn. Because I hastily gave the first cowl away, I made my own (above) in Swans Island Worsted Beetroot. Then I took it a step further. I wanted a small, quick cowl in this stitch that could carry into the Spring. I was able to alter the pattern simply by using the gauge of the first cowl I knit. I multiplied the number of stitches per inch by the new circumference. For a slip-on cowl, I typically use anywhere between 22-28 inches. This number becomes your cast on. Note: depending on your pattern, you might need to keep a certain number of stitches divisible by your base pattern. When Choosing a color palette, I personally strive for a neutral main color with a pop of a favorite color from the same brand as the main color. In this case, I had two stunning colors from this brand and weight IN my stash! I generally like to incorporate the color pop in a very small way. For this cowl, I added two very thin stripes. Hold on to your hats, because this next part gets nuts. Another of my favorite yarns is Alchemy Yarns of Transformation‘s Kozmos. Shockingly (you’ve seen my Yarnerator), I had matching colorways IN my stash as well. If you look closely at the detail image to the right above, I knit three rows in the teal color, the first row holding the matching Alchemy yarn with the Swans Island. It’s hard to see in the green, but I knit two rows – mimicking the teal by knitting the first row with the matching Alchemy. Holding the Alchemy adds a special detail texture both in color and fiber. The last and final step, of course, is coercing a friend to take adorable pictures in the cowl. Usually helps to buy your model coffee.